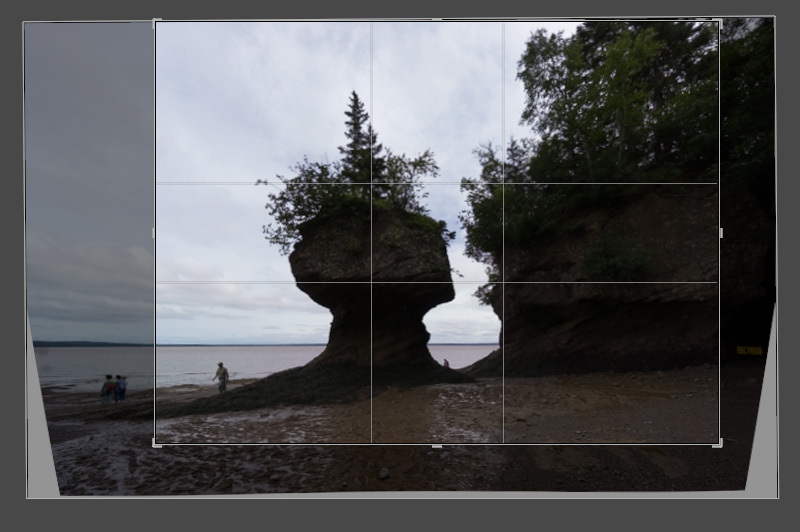 Today I would like to demonstrate how my HDR Photography workflow looks from start to finish. 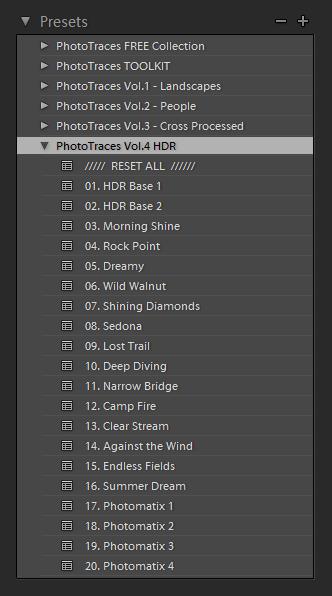 Over the years, my HDR editing workflow changed a lot. It keeps evolving with the introductions of new tools and techniques. The biggest change was triggered by the introduction of HDR Merge module in Lightroom 6. It allowed me to shift the entire HDR workflow to Lightroom without involving dedicated HDR programs or even Photoshop. The next big shift happened recently when I completed the development of Lightroom Preset Collection dedicated specifically to HDR images. The introduction of new HDR Lightroom Presets allowed me to use Lightroom Rapid Editing System more consistently and more efficiently with HDR photos. 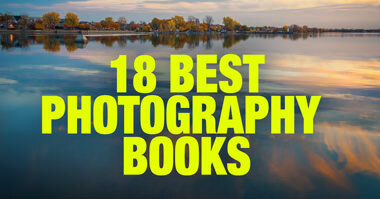 I am going to show you how the featured HDR photo was created in a matter of minutes. 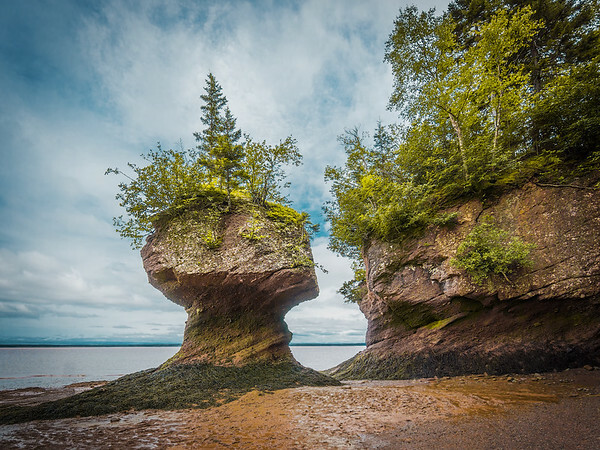 I took it in Hopewell Rocks Provincial Park in the Canadian province of New Brunswick. The Hopewell Rocks is famous for having the highest tides in the world, reaching up to 14 meters vertically. 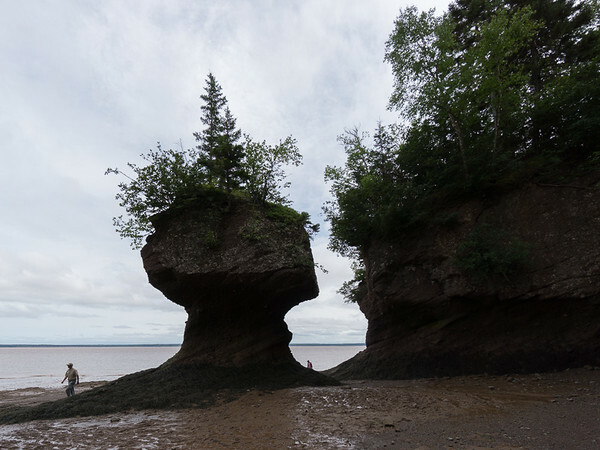 During the low tide, you can walk at the bottom of the sea with some amazing photo opportunities. This is exactly how I took the featured photo. From the very beginning, I knew I would have to use HDR processing because the lighting conditions were extreme with the bright sky and very dark areas at the bottom of the rocks. I was shooting on a tripod and I took 3 bracketed shots with 2EV (stops) increments (-2EV, 0EV, +2EV). Besides dealing with the dynamic light I also needed to improve the composition and remove people from the frame. I selected 3 bracketed shots and merged them to HDR using HDR Merge module of Lightroom. The process in simple, almost automated and it took me just a couple of minutes. Newly created HDR image in DNG format was created and saved directly to Lightroom Catalog next to the original bracketed RAW photos. Next, I had to correct vertical perspective. 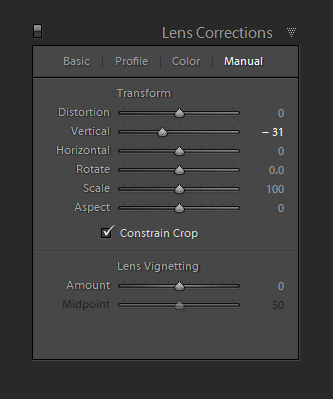 I used the Lens Correction panel in Lightroom with the following setting. I improved the composition by cropping image tighter, eliminating the “dead” space. Also, I changed the aspect ration from 3 x 2 to 4 x 3. I used the Crop Tool. This was the exciting part. I got to use my new Lightroom HDR Preset Collection to style the photo. First, I applied HDR Base 2 preset, which does not carry and specific style or look. 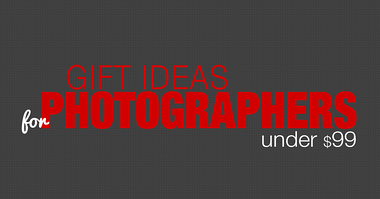 It only tone map the HDR image by opening up shadows and recovering the highlights. The second part of Lightroom Rapid Editing was the use of TOOLKIT adjustments to make the photo more interesting. I reduced the exposure to get more details in the sky but at the same time recovered more shadows to compensate for the reduction of the exposure. I also boosted the vibrance and contrast. In the last step, I added vignetting. I used Photoshop to remove a tourist and a park employee from the composition. 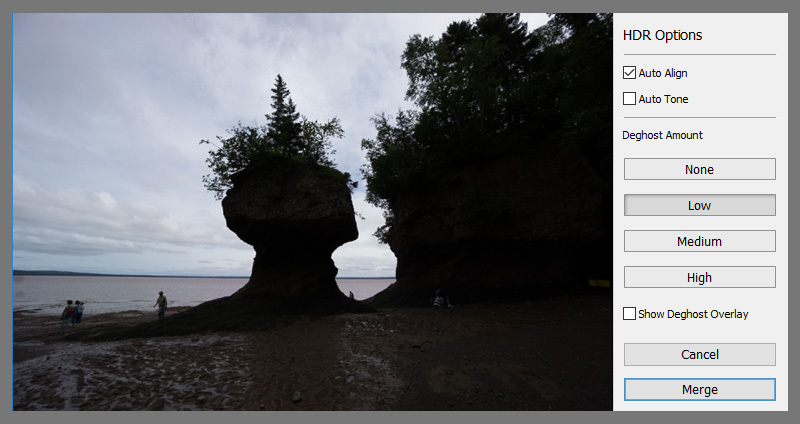 Also, I did some cleaning by removing distracting elements from the photo (rocks mostly). I used the Stam Tool for both tasks. As you can see, the combination of Lightroom Merge Module and Lightroom Rapid Editing allowed me to produce a natural looking HDR image in a matter of minutes. 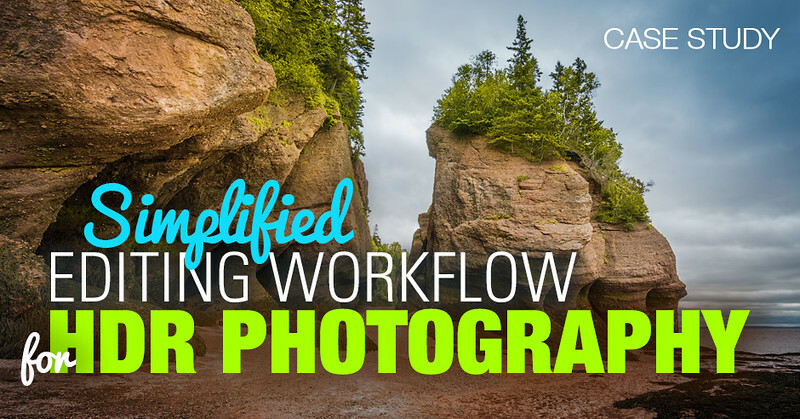 The process of creating HDR photos has never been so simple and streamlined. 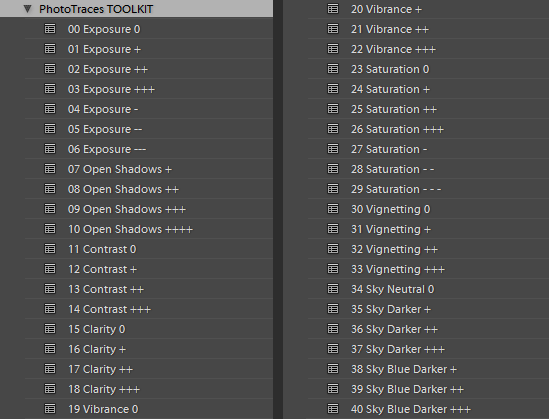 The HDR Merge from LR6 is much better than the Enfuse module for LR? I never used Enfuse I used Photoshop HDR Pro before Lightroom 6. The uniqueness of Lightroom that it produced RAW HDR image and not JPEG or TIFF. I do not think any HDR program can do it at this point. really, never saw other HDR program that do this. But isn’t 16bit TIFF and DNG the same? 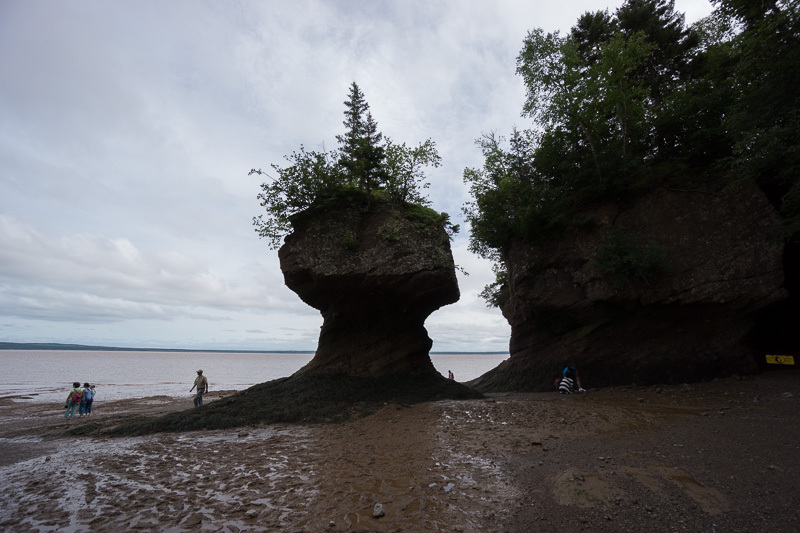 It’s remarkable how “bland” the image looks after the initial 3-image HDR merge in Lightroom! I would never have guessed it was was an “HDR” image at that point. This most likely discourages many users new to HDR if they don’t have the benefit of your Rapid Editing, or knowledge of how to further tweak the results.